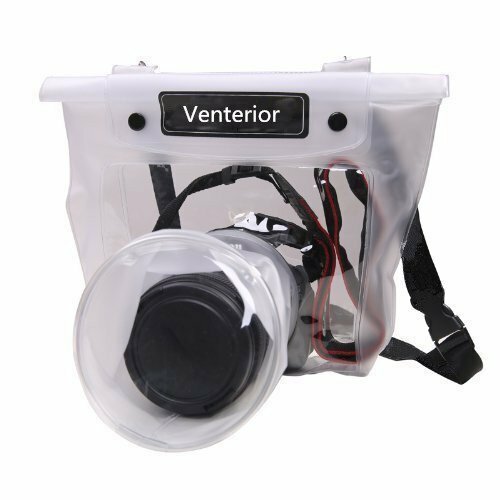 This Waterproof Case has features of dustproof, waterproof, wind and sand proof, rain and snow proof ,and is suitable for outdoor, beach, swimming pool and under water usage. 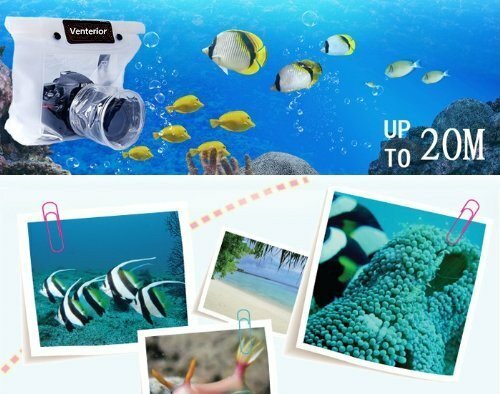 While ensuring full protection to your camera, it makes you enjoy the fun of picture shooting under water. 1. 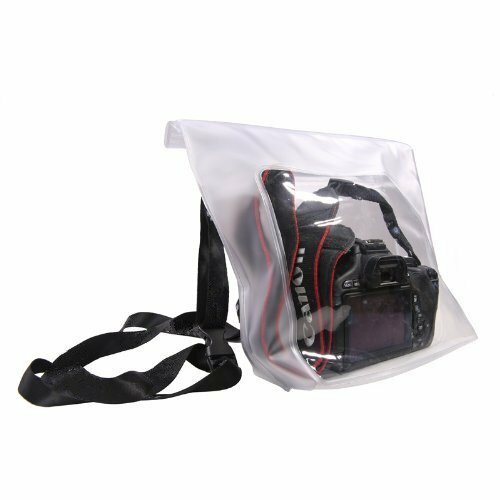 Waterproof SLR Camera cover, dust, sand, snow and wind proof, waterproof, anti-acid and alkali. 2 Waterproof cover on the back of a transparent design, allow you to use camera function and enjoy photos. 3 Three insurance airtight seal. 4 No need to worry about falling into the water, it can float. 5 Professional soft TPU+PVC material, anti-pull, and buffer. 7 If falling into the water when using this product, the camera will automatically float on the water. 8 Also good for cell phones, PSP, ipod, mp3/mp4, etc. 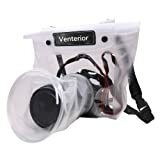 9 Suitable for camping, boating, fishing, tubing, swimming or any other water sport. 1. Before use to protect camera, please carry out a waterproof test on the product and check whether the product has damaged parts, particularly the seal function. 2.Make sure it is sealed properly before use it in the water. Do not continuously use the product at high temperature, and avoid scratch by sharp articles during usage. 3. Do not use the bag for more than 5 hours when it is underwater. 4. 20 meters maximum depth in water is an approximate number. The real maximum depth depends on the specific weather, temperature and buoyancy of water. 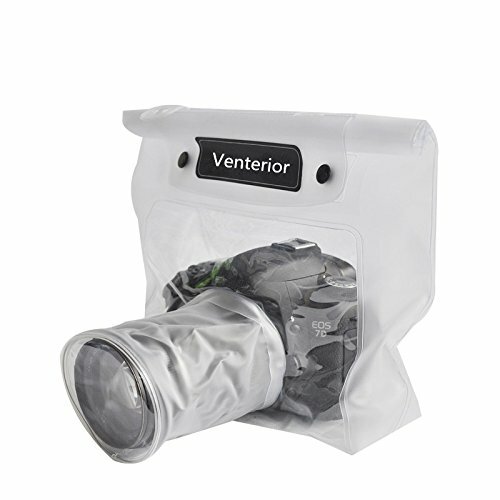 Triple waterproof safe system for ensuring the waterproof function. Soft jacket without influencing the operation of various function of the camera and with certain damage and falling preventing functions. Multiple strict waterproof tests for ensuring the waterproof function within 20M waters. Automatic floating of the camera if fallen into the water carelessly in the use process of the product. Copyright © 2017 Digital Waterproof Cam.